There are 20 Assisted Living Facilities in the Hillsboro area, with 7 in Hillsboro and 13 nearby. To help you with your search, browse the 128 reviews below for assisted living facilities in Hillsboro. On average, consumers rate assisted living in Hillsboro 4.0 out of 5 stars. Better rated regions include Forest Grove with an average rating of 4.2 out of 5 stars. Caring.com has helped thousands of families find high-quality senior care. 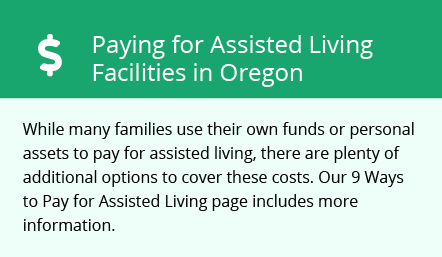 To speak with one of our Family Advisors about assisted living options and costs in Hillsboro, call (855) 863-8283. Hillsboro, just west of Portland, is in the heart of the Silicon Forest, home to scores of high tech firms. While the median age in Hillsboro is 34, possibly due to the volume of tech firms, seniors in Hillsboro, make up 9.7 percent of the population and can choose from seven assisted living facilities within the city limits, with another 23 within close range in cities that include Portland, Forest Grove and Beaverton. These assisted living communities all offer seniors a safe and comfortable residential environment that includes personal care services. These services typically include medication management and help with the activities of daily living, including bathing, dressing and grooming. In Oregon, all licensing of assisted living facilities is handled by the state's Department of Human Services. Summers don't get too warm in Hillsboro, where seniors can enjoy highs averaging in the low 80s. Winter and spring are rainy in the Willamette Valley, and Hillsboro gets some kind of precipitation almost half the days of the year, though snow is rare. Senior arts lovers in Hillsboro head to the Glenn & Viola Walters Cultural Arts Center to enjoy art gallery exhibits, arts instruction and performances. The city is home to the Hillsboro Symphony Orchestra, the Hillsboro Artists' Regional Theatre, and the Oregon Chorale. The TriMet Transit Agency provides both bus service and light rail service in Hillsboro, with hubs located at the Willow Creek and Hillsboro transit centers and the Hillsboro Intermodal Transit Facility located by the Tuality Hospital. The Blue Line of the TriMet light rail system also serves Hillsboro, and half-price tickets are available for seniors. Hillsboro has an array of community resources for seniors, including Washington County Disability, Aging, and Veterans Services, an organization that helps seniors with money management, transportation, meals, legal advocacy and emotional well-being, as well as with one senior center. The cost of living in Hillsboro is 29.3 percent higher than the national average cost of living, making this area a slight challene for seniors on a limited budget. The Hillsboro area is home to world-class medical facilities, including Tuality Healthcare Hillsboro, in the event of medical emergencies or illness. Assisted Living costs in Hillsboro start around $0 per month on average, while the nationwide average cost of assisted living is $4,000 per month, according to the latest figures from Genworth’s Cost of Care Survey. It’s important to note that assisted living rates in Hillsboro and the surrounding suburbs can vary widely based on factors such as location, the level of care needed, apartment size and the types of amenities offered at each community. Oregon's Community First Choice plan, also known as its Medicaid 1915(k) plan, K Plan or K Option, provides financial assistance for seniors who need daily care but don't require the skilled nursing services provided at a nursing home. Eligible seniors may qualify to use these benefits to help pay the costs of assisted living. Hillsboro and the surrounding area are home to numerous government agencies and non-profit organizations offering help for seniors searching for or currently residing in an assisted living community. These organizations can also provide assistance in a number of other eldercare services such as geriatric care management, elder law advice, estate planning, finding home care and health and wellness programs. To see a list of free assisted living resources in Hillsboro, please visit our Assisted Living in Oregon page. Hillsboro-area assisted living communities must adhere to the comprehensive set of state laws and regulations that all assisted living communities in Oregon are required to follow. Visit our Assisted Living in Oregon page for more information about these laws.